Huffington Post ad sales boss Greg Coleman is not thrilled with the company’s $315 million sale to AOL, a confidant to Coleman just told us.Apparently, Coleman was under the impression that the plan for HuffPo was to IPO – not sell to a company struggling through a turnaround. 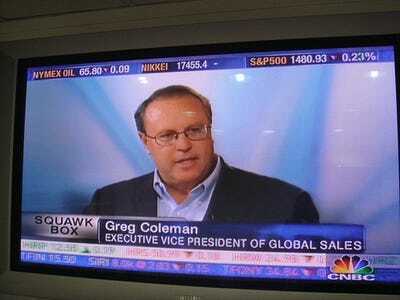 Coleman was only at HuffPo for about year, but during his tenure he added lots and lots of bodies to HuffPo’s sales org. That sales force turned $31 million in 2010 revenues and was projected to do $60 million in 2011. It’s not all bad for Coleman. He got a “a multimillion dollar payday from the deal,” according to Kara Swisher. Related: AOL-HuffPo: Everything you need to know in 93 seconds.